Gen is a Canadian teacher living in Austria for the last 15 years and has been teaching at AIS-Vienna for 7 years. Last year, Gen got involved with the Bridges of Peace and Hope team and had the opportunity to visit the Mukwashi Trust School in Zambia. The connections she made during this visit will last a lifetime. This year, Gen spearheaded projects with the entire Elementary school with the hopes of bringing AIS-V and Mukwashi closer together. Some of the projects include: What Makes you Smile, We are all Creative, and a Bookmark Exchange. 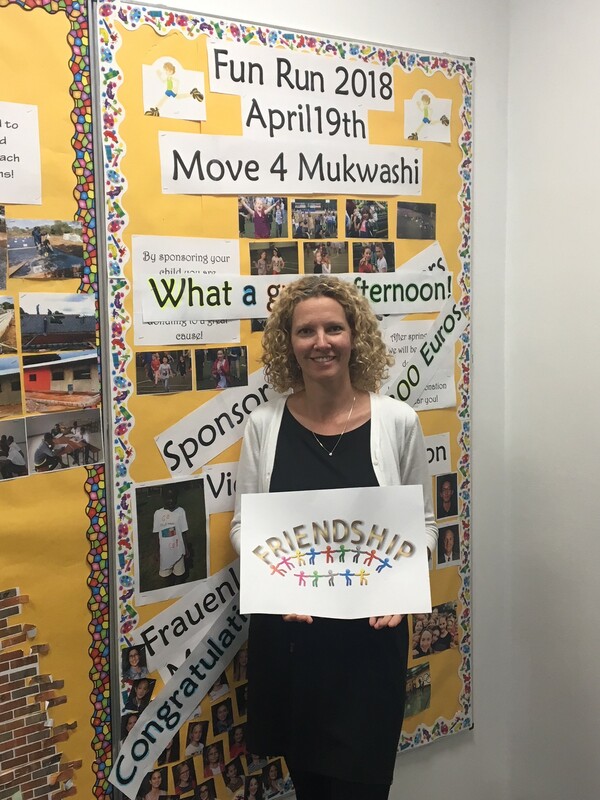 Next year, Gen hopes that more teachers will start connecting with the Mukwashi Trust School in classroom to classroom projects. Although our schools are miles apart, our friendship is just a bridge away. It is through the connections we make today that we can foster friendships that cross nations for a lifetime.